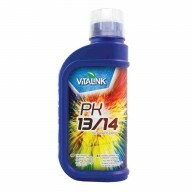 VitaLink PK 250ml A straight PK additive, VitaLink PK is rich in potassium and phosphorus and encourages a better, fuller crop from plants while supporting the plant quality. 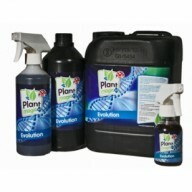 When flowering, an increase in the potassium to nitrogen ratio speeds the reproductive processes which encourages plan..
Plant Magic Evolution Foliar Feed The Evolution complex from Plant Magic combines bio stimulants, plant hormones, sugars, vitamins and acids to increase vegetative growth and encourage new shoots. This in turn has benefits including improved photosynthesis leading to rapid vertical gr..
Silicon MAX Silicon MAX is formulated to help produce stronger plants, thicker roots and increase resistance to disease. Arguably not an essential nutrient for your plant, nevertheless it is beneficial to health. 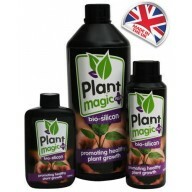 Key Features: Use Silicon MAX in hydroponic systems, coco coir and soil ..
Plant Magic Bio-Silicon BioSilicon is specially formulated for soil / compost applications containing a unique blend of humic and silicate to ensure optimum availability. 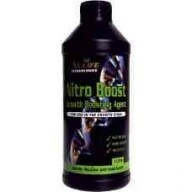 Silicon is not easily available from the soil, that’s why using this special blend will ensure that your crop ..
Plant Magic Veg Boost BOOST is a powerful bio stimulant used to increase the activity of beneficial microorganisms and soil bioactivity. 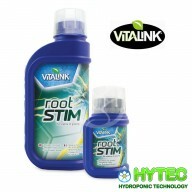 BOOST contains Humic acid which has a high Cation Exchange Capacity. 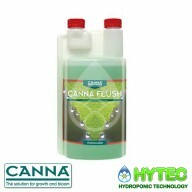 This acts as a reservoir for nutrients and micronutrients improving the avai..
CANNA FLUSH CANNA FLUSH is a product to clean substrates and plants from any excess nutrients. 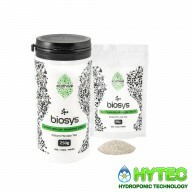 This is necessary because excess nutrients can have a bad influence your next growth cycle. They could lead to over-fertilisation or malnutrition, for example. 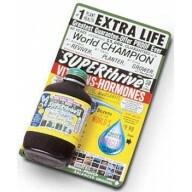 Why should you use CANN..
SUPERTHRIVE The world renowned SUPERthrive is a great plant tonic and general growth promoter. Plants require more than one vitamin for optimum performance. SUPERthrive is full of vitamins and hormones. 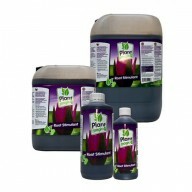 SUPERthrive is not a fertiliser - it is an additive. Use SUPERthrive on..
VitaLink CalMag Additive contains calcium and magnesium, two vital elements for strong plant growth. 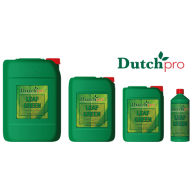 This is an ideal product for growers of all levels and can be added throughout the plant growth life cycle because it is an immobile product that can’t travel to areas of new growth. 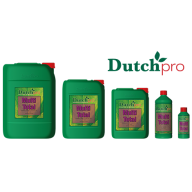 Use VitaLink..
Dutch Pro Leaf Green Giving plants a healthy and vital appearance, Leaf Green is especially recommended for those that have noticeable difficulties during their initial development. 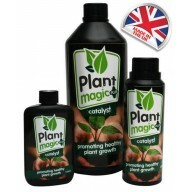 After application, it will work to turn plants with yellowish discolouring a far more attractive and fresh looking ..
PLANT MAGIC CATALYST Plant Magic CATALYST is a 100% organic seaweed extract. 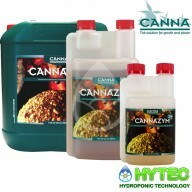 CATALYST will aid you to grow stronger, healthier plants, fruit and vegetables. Regular use will improve resistance to stress and diseases. 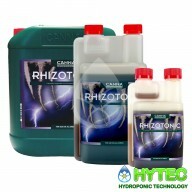 Benefits of Catalyst CATALYST will ensure your plants benefit from t.. Growers Ark Root Tonic 5 LTR Grower Ark root tonic increases root growth and root zone effiency, excellent for stressed and ailing plants. 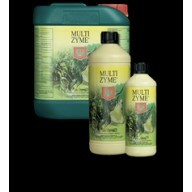 Use as part of a foiliar feeding cycle OR add to nutrient solution, mix with clean water for shock. 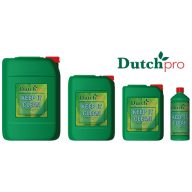 We highly recommend this product! 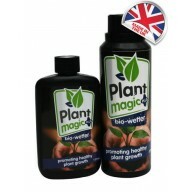 Rate of u..
Plant Magic Bio-Wetter is a completely organic wetting agent perfect for reducing plant stress. Bio-Wetter is extracted from the Yucca plant, this organic wetting agent contains natural bio-stimulants and water tension breaking saponins. 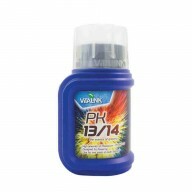 Saponins benefit your plant in a number of ways, they increase..
VitaLink PK 1L A straight PK additive, VitaLink PK is rich in potassium and phosphorus and encourages a better, fuller crop from plants while supporting the plant quality. When flowering, an increase in the potassium to nitrogen ratio speeds the reproductive processes which encourages plants t.. 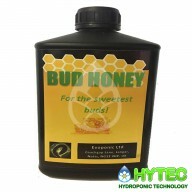 BUD HONEY-EVOPONIC The formulation is comprised of a variety of essential carbohydrates, including oligosaccharides, that energises your plant by enhancing the sugar levels and also has a releasing agents that make membranes and direct the plant to store the product it uses photosynthesis to crea..